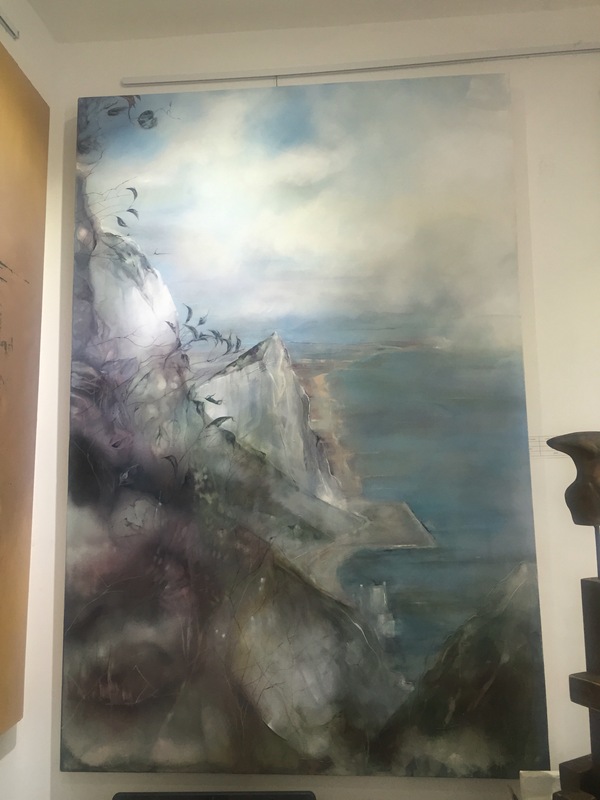 Gibraltar’s thriving art scene is being showcased again with a pioneering women only exhibition at the Rock’s newest gallery. 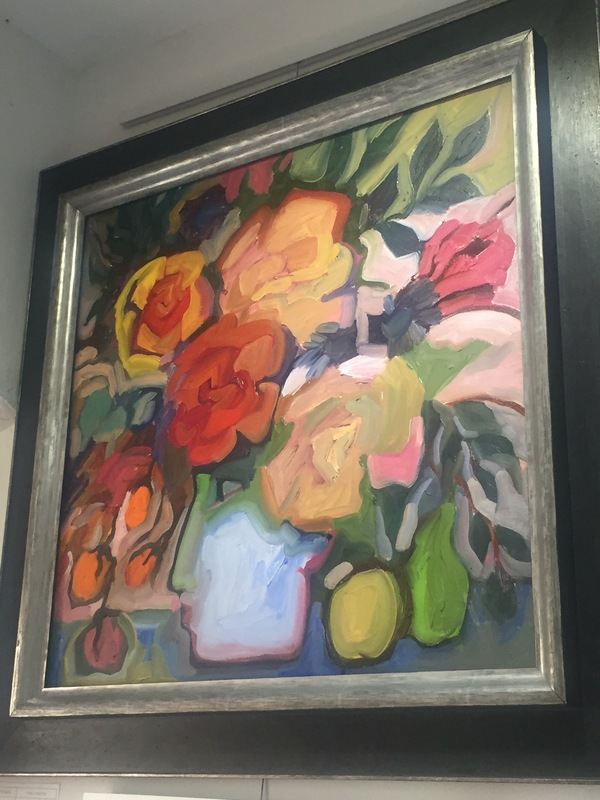 The Face Frames Gallery launched the show on 8th March to mark International Women’s Day. 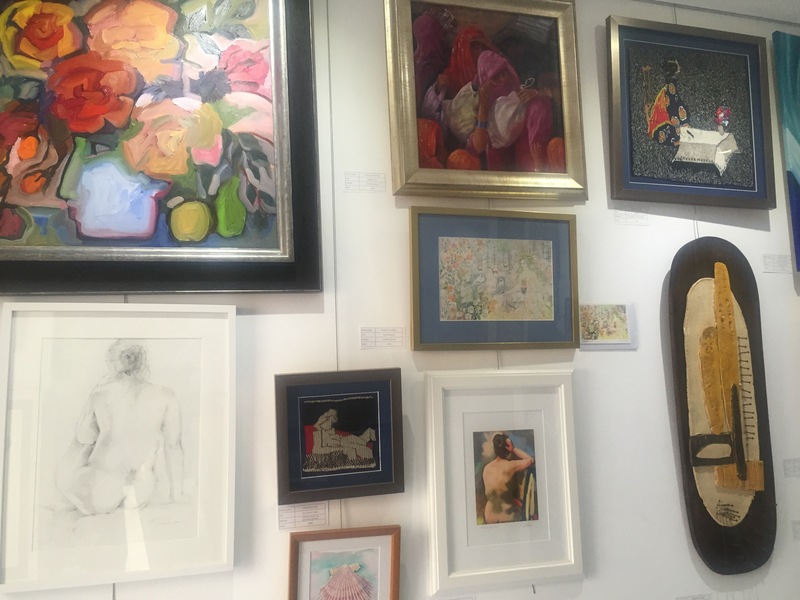 The small but perfectly formed art gallery is crammed with beautiful works in a variety of media including traditional oils and watercolours, but also fused glass, photography, collage and sculpture. 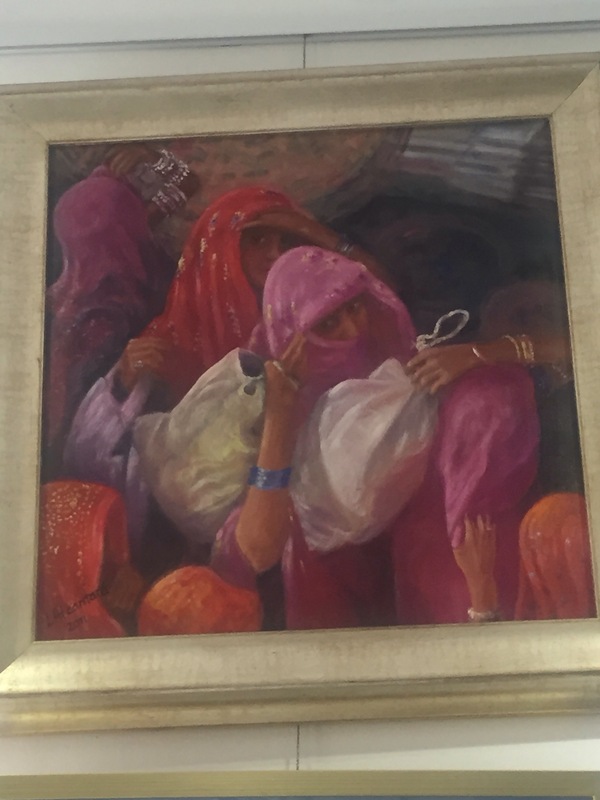 Female artists were invited to send in work to be exhibited and the show was chosen from the many entries. 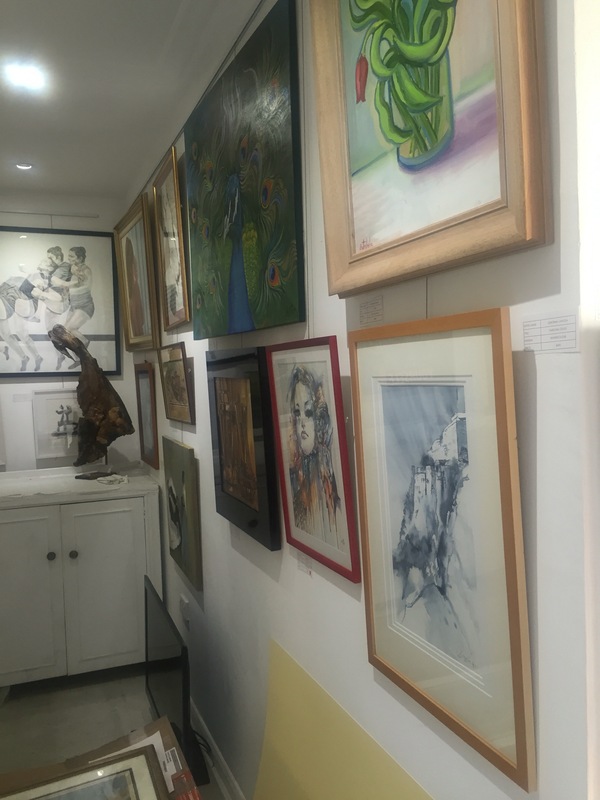 Exhibiting artists include some of the Rock’s well-known established artists as well as some younger and new talent. 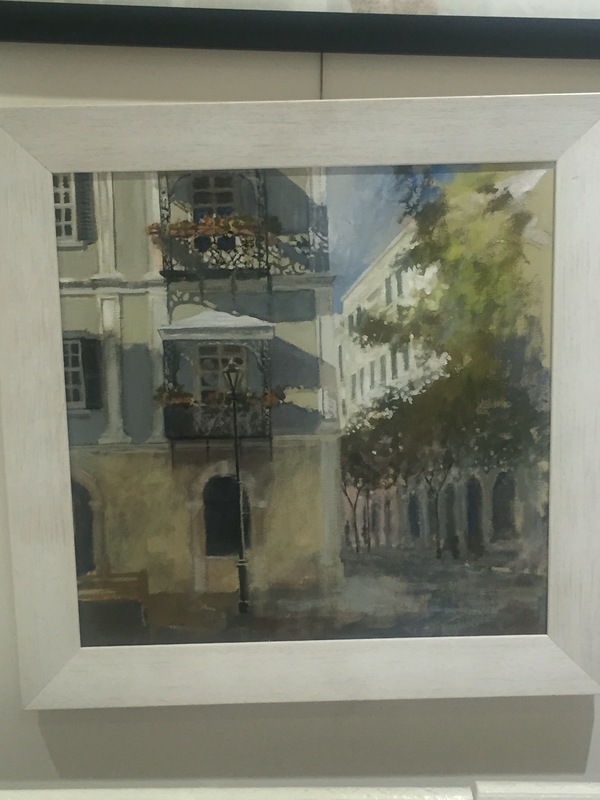 A competition was held for GCSE and A-Level Art students at Westside (the Gibraltar Girls’ Secondary School). 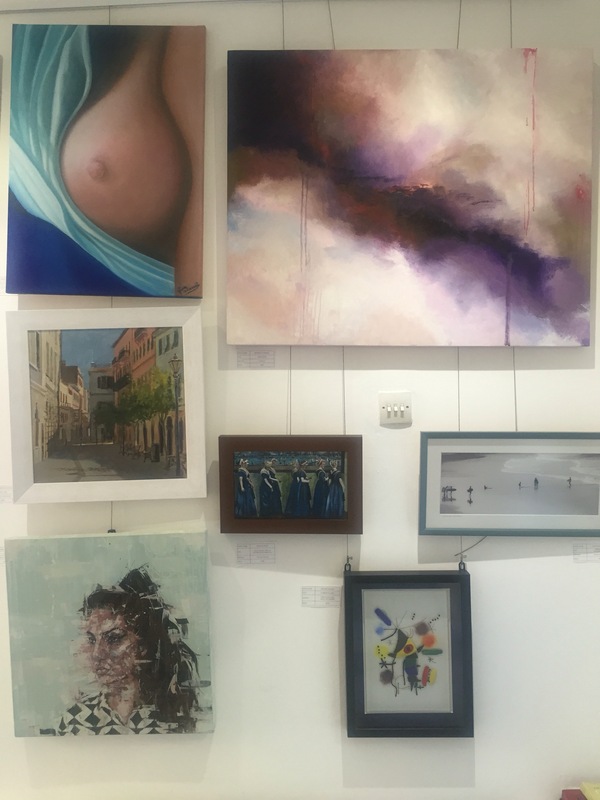 The winners’ pieces hang alongside the other pieces by adult artists. 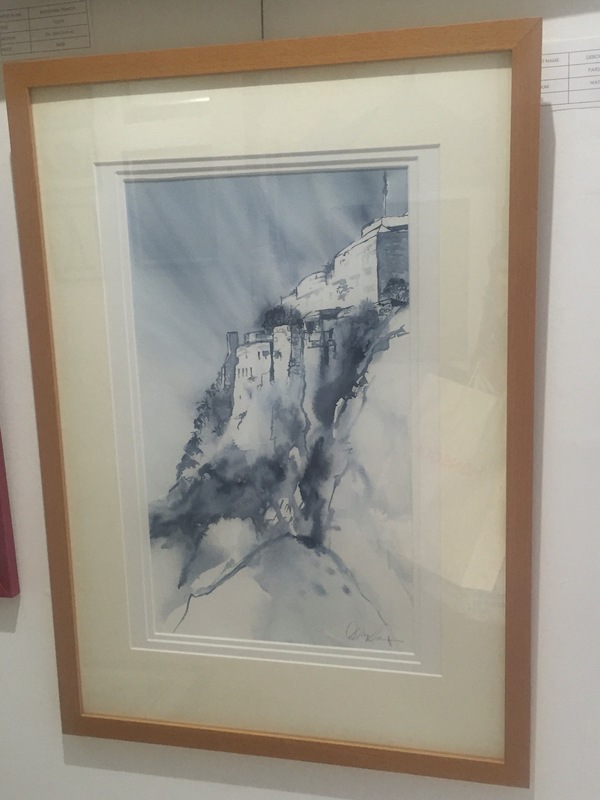 Views of Gibraltar feature within the show (above & 2 below are just a selection) but many other images feature in the diverse exhibition. 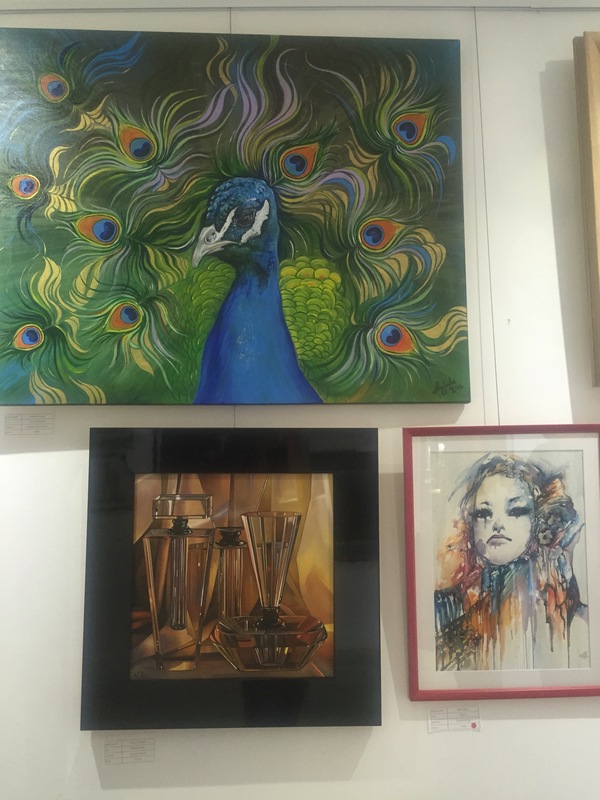 As well as raising the profile of local female artists, the event’s opening night raised funds and awareness for the local Women in Need charity. The shelter which offers a safe haven for victims of domestic abuse received more than £200 of donations on the night. It really is worth a visit of you are nearby, it never ceases to amaze me the amount of talent such a small place can inspire. The number of artists and crafts people per capita in Gibraltar must be far higher than normal surely? 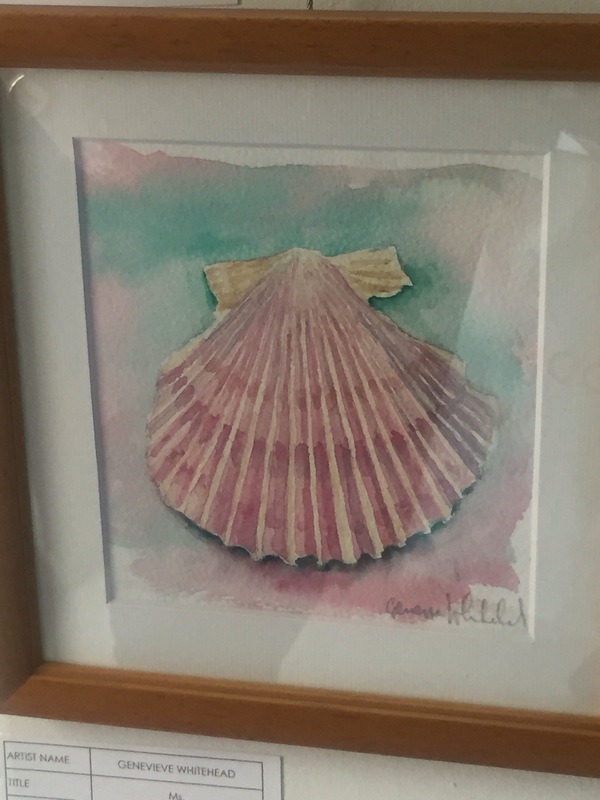 Th exhibition will run for two months and many of the paintings are available to buy. 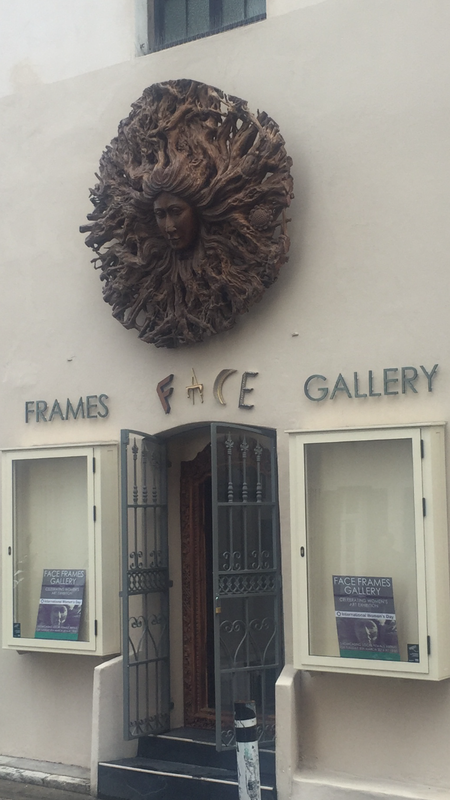 The Face Frames Gallery officially opened it’s doors in December with it’s inaugural exhibition of local artist Leslie Gaduzo’s work, this is it’s second exhibition. 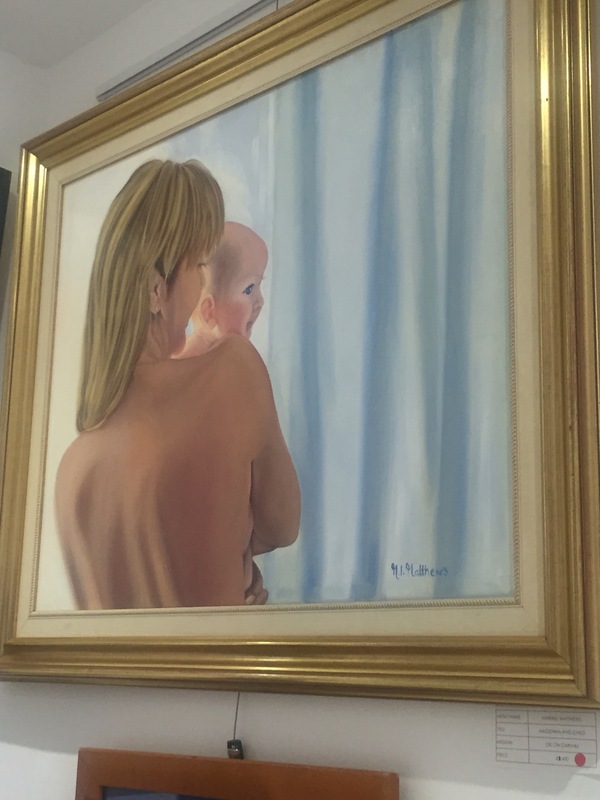 For more information on the gallery and the exhibition, take a look at the Face Frames Facebook page or email faceframesgallery@hotmail.com. My favourite person the last picture of Gibraltar. Thanks for sharing, what incredible talent there is on the Rock. 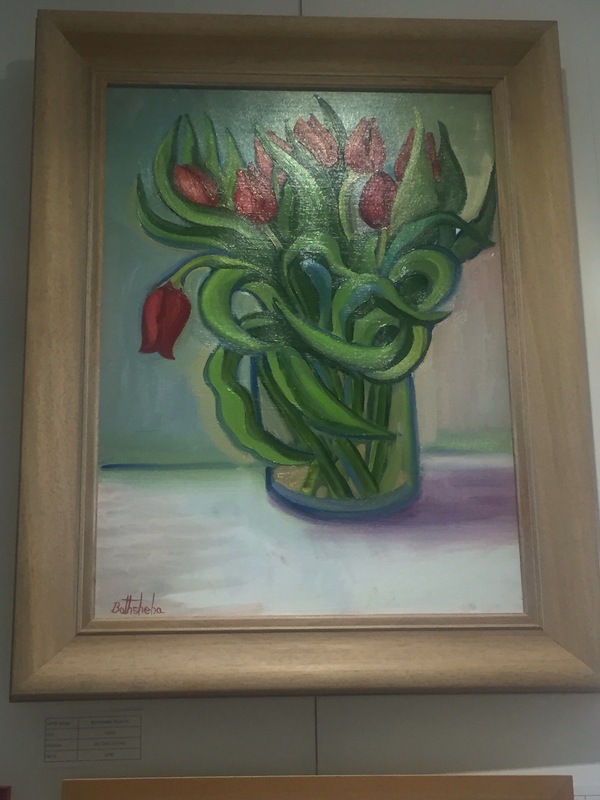 An interesting and diverse selection of paintings. Will we see one of yours up there one day? Hmm we’ll see, not sure I’m up to that standard yet!